The child sits with his/her box in front of the television or computer and does the activities as presented on the DVD. Be of assistance, especially when a child is still very young. While the child is searching for the various pieces and because he/she might not be able to work at the demonstration pace, pause the DVD till the child is ready. Work through one section at a time. Children’s concentration span is limited and they might lose interest if too many activities are done at one time. The main aim of the activities is that children learn the various mathematical concepts in a playful, relaxed manner and in this way learn to love maths. 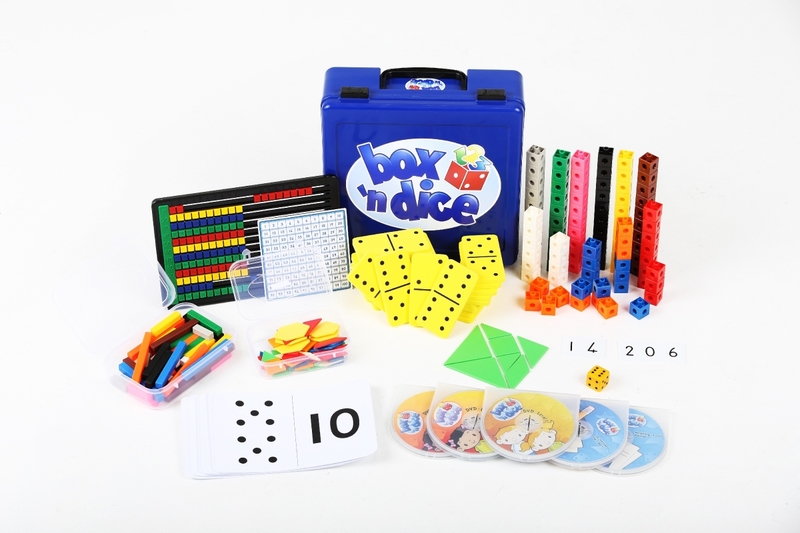 The activities in Box ‘n Dice must be a source of enjoyment to the child. Embroider on the activities stipulated in the parent guide and by all means use the apparatus to formulate your own game without using the DVD as aid. Children should be encouraged to devise their own games with the apparatus. That shows they understand the concept! 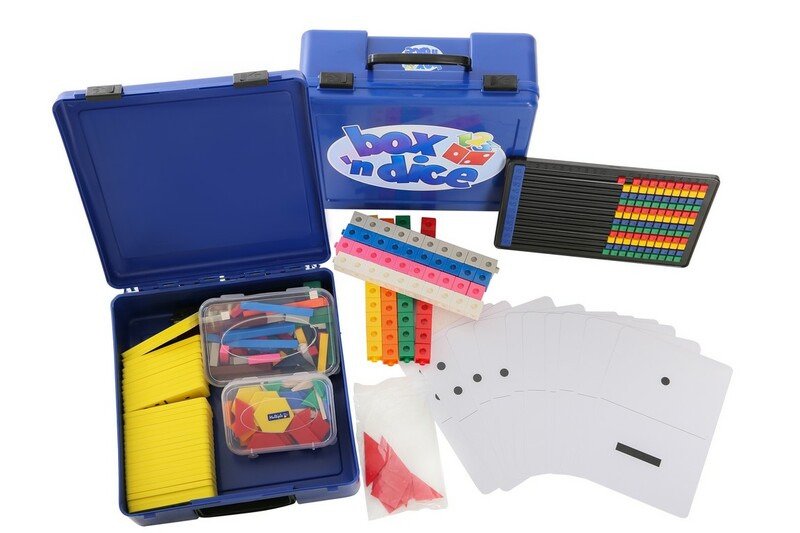 A solid box with containing all the math resources a child will need to do the activities presented on the DVDs. 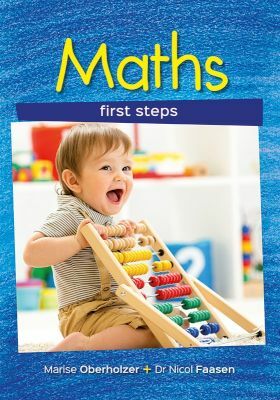 This book will enable parents to guide their children comfortably into the world of mathematics, using everyday examples that present themselves amidst the hustle and bustle of daily life. And it requires no special knowledge or training; just a positive attitude and a sharpening of your interactions with your children to familiarise them with maths concepts through play. Die boek stel ouers in staat om van vroeg af en te midde van ‘n druk lewe alledaagse geleenthede om hulle te gebruik om hul kleingoed gemaklik in die wereld van wiskunde in te lei. En dit verg geen spesiale kennis of opleiding van ouers nie; net ‘n positiewe instelling en ‘n opskerping van hulle interaksie met hul kleingoed om hulle al spelenderwys vertroud te maak met wiskundebegrippe.